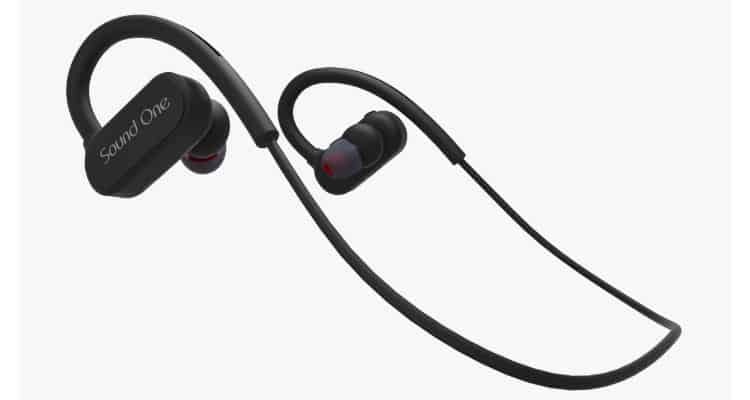 Sound One has launched waterproof SP-40 sports bluetooth earphones with MIC for the sports enthusiasts in India. Sound One SP-40 sports earphones has a built-in rechargeable powerful battery which provides up to 120 hrs of standby time and, up to 7-8 hrs of talk time and 5 hrs of music play time. The Wireless 4.1 Bluetooth connectivity makes these stereo earphones being easily paired with your iPhone, iOS, Android, tablet or laptop and let one enjoy impeccable sound everywhere. The Noise Suppression technology helps the user to focus on their favorite music and answer calls without skips or missed words. Sound One SP-40 sports earphones are water-resistant. The Nano-coating efficiently protects sport earphones from sweat and ensure more guaranteed life span, perfect for running, jogging, hiking, yoga, exercises, gym, fitness and travelling. Sound One SP-40 has sweat proof design with multiple ear tips that will fit comfortably inside your auricles and stay in place without causing any discomfort. This sports headset is perfect for running, cycling and other outdoor activities. Lightweight and easy to bring anywhere, these fashion earbuds will let one power through your workouts in supreme comfort. Sound One SP-40 sports earphones also offer advanced, noise cancelling technology. These wireless Bluetooth earbuds will make sure all outside noise and distractions are blocked, so that users can immerse themselves in the ultimate, high definition sound experience, wherever they are. The price of the product is 2190 INR with a special launch offer 1590 INR on Amazon Prime Day Sale scheduled on July 16, 2018. The product carry’s a 1 year warranty and will be Exclusively available on Amazon. Sound One launches waterproof SP- 40 sports bluetooth earphones with MIC in India 0 out of 5 based on 0 ratings. 0 user reviews.